Its a great day of fishing on the NHP!!!! Stop on by today and take advantage of the weather mans incompetence…..Its beautiful out and the fish are chewing. Anglers are catching trout and mullet mixed with the occasional bluefish! Stop on by today and catch a cooler full. See yall soon! The BIG trout are finally here! The speckled trout and here in force this morning. Anglers are catching more keepers than throw backs finally. We have all the jigs and plastics you need to get the job done! Stop on by and catch ya some speckles!!!! Its windy but the fish are here! The spot are here! Fishing is GREAT!!! We are having an AMAZING day of fishing on the NHP. People are pulling in spot two at a time and trout every cast on artificials. We have everything you need to fill your cooler and your belly with some amazing fish! See yall soon!!!!! The fish are already wet! It may be raining but the fishing is excellent today at the NHP! 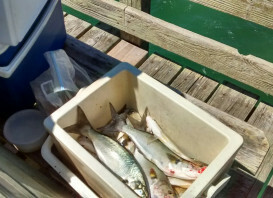 Anglers are catching lots of speckled trout, bluefish, and even a few Spanish mackerel off the end. 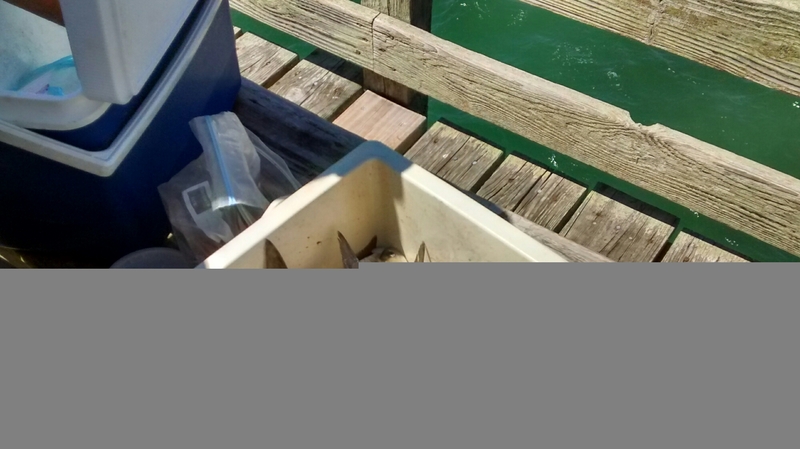 We have all the lures and accessories to catch anything that swims off the pier! Lots Of Fish Around Today!